If you are feeling overwhelmed by all those products claiming anti aging effects for your skin, then you might strongly feel the need to know which anti aging skincare ingredients actually work. So, here is 6 top anti aging ingredients that you can look for in the skincare products you want to buy and enjoy maximum results for your skin. Retinol has been scientifically proven to be one of the most effective anti aging ingredients you can go for when buying creams or serums. Retinol and its derivatives such as retinyl palmitate, retinaldehyde or encapsulated retinol have been used for years in the most drastic anti wrinkle formulas. Retinol accelerates new skin cell renewal, boosts the microcirculation and the production of collagen activating cell regeneration in the deeper layers of the skin. It also has exfoliating properties which make dull skin regain its glow. In the case of oily skin or acne prone skin retinol helps control oiliness and make skin more clear. In today´s over the counter retinol creams, retinol is combined with other anti inflammatory agents and works such so that it does not irritate sensitive skin. The only thing you need to know when you are buying retinol skincare products such as creams or retinol serums is the percentage of retinol that is contained in those formulas. If the product comes under the name retinol cream or retinol serum, it should obviously contain enough of this ingredient which seems to be its main one but in the case of other products that it is not clear whether retinol is the main ingredient, you should check whether retinol is listed on the top of the ingredients list or whether you can find out about the actual retinol percentage. Still, in most retinol skin care products the amount of retinol contained is mentioned clearly on the bottle. In any case, for any good anti aging ingredient to start giving you more visible results, you should give it some time and that is at least one month especially when you are dealing with wrinkles although you can notice some type of positive effects even from the first day of using a retinol product such as improvement of elasticity and a more clear and glowing skin. These popular organic compounds are amino acid chains which are naturally found in the skin and are structural components of the proteins. They actually work like ¨messengers¨ that deliver messages and instructions from the surface of the skin to the cells of its deeper layers. The peptides that we find in the skincare products we buy like peptide serums, peptide face creams or peptide eye creams are produced through biotechnology methods and they are exact copies of those natural peptides. Also, they are extremely pure and skin tolerant. In the peptide products that we buy, there are peptides that activate the fibroblasts as well as encourage the elastin and collagen production while also limiting their damage. Some peptides reinforce the cell renewal while others have anti inflammatory function and therefore minimize the aging that the free radicals afflict to the skin creating wrinkles and fine lines. Peptides function starts from the deeper layers of the skin and therefore anti aging results become noticeable after at least one month of using effective face creams with peptides. Some well known peptides that you may have probably heard about are Eyeliss, which companies use in effective eye skin products for puffiness, Argireline, Haloxyl and Matrixyl. Vitamin C is considered to be one of the most powerful antioxidants. It reduces skin discoloration and activates the production of certain types of collagen while it also inhibits the enzyme action which destroys collagen. 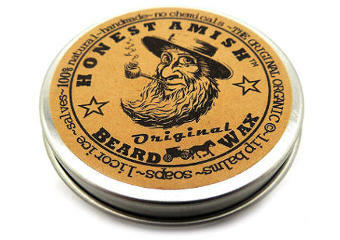 It also works as additional protection against the Sun damage. 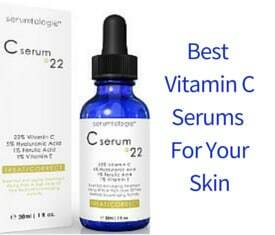 Popular products containing vitamin C are Vitamin C serums. Vitamin C immediately smoothens the surface of the skin and adds glow to it while wrinkles softening might need a longer time to take place depending on each case. In the case of a couple of brown spots on the back of my hand, they started fading after a month of vitamin C serum use (few drops twice or three times a week) so I gather that with a more regular use, the results can be a lot faster. 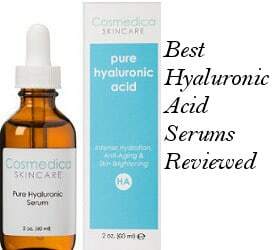 Hyaluronic acid is a very popular anti aging ingredient mainly due to its ability to hold moisture in the skin. There are two types of hyaluronic acid, low molecular weight and high molecular weight. On the one hand, the high molecular weight hyaluronic acid forms a film on the surface of the skin that moisturizes it and optically fills up the wrinkles while it also activates the cells renewal. On the other hand, the low molecular weight hyaluronic acid reaches the deeper layers of the skin and activates the natural production of hyaluronic acid as well as the collagen formation, restoring the skin´s firmness. You can enjoy the anti aging benefits of hyaluronic acid by topically using a good quality hyaluronic acid serum but there are a lot of people who prefer to also go for injectable hyaluronic acid fillers. Polyphenols are powerful antioxidants that can be found below the skin of almost all of the plants protecting them from infections and other environmental dangers. Flavonoids, tannins and anthocyanins are part of the polyphenol family. Well known plants that are used in skincare and contain polyphenols is green tea, pomegranate, grapes, olive plant, citrus fruits and others. So, you can look for plant extracts such as the ones just mentioned in the anti aging creams and moisturizers you want to purchase. Polyphenols have the ability to bind the free radicals and deter the oxidation of the cells. They are also very important when it comes to protecting the skin from photo aging. They boost as well as protect collagen while also work against skin discolorations. Systematical use of skincare products that are rich in polyphenols will provide your skin with various benefits such as evening of your skin tone, glowing complexion, less visible fine lines and wrinkles, and firm skin. Sugars derive from fruits, sugar cane and corn or other sources such as honey and algae. They help the skin stay moisturized due to their ability to absorb water. They have anti inflammatory as well as soothing abilities while they can also tighten the skin and have other anti aging effects. That explains the fact that DIY honey masks are widely used for their moisturizing and tightening effect while algae face creams are also becoming very popular for their anti aging benefits. All in all, if you really want to be effective in your anti aging skincare routine, the above anti wrinkle ingredients can surely make a difference to how your skin looks.